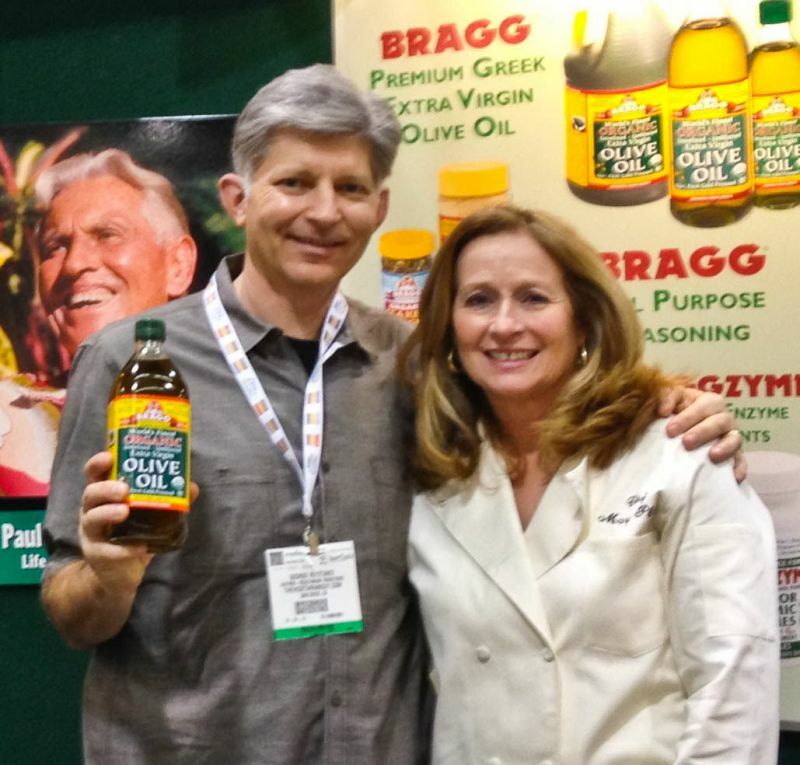 The Expo West show in Anaheim was a working weekend for me, but also a good opportunity to talk to buyers, chefs, professionals, doctors, and health experts on the importance of extra-virgin organic olive oil in the diet. 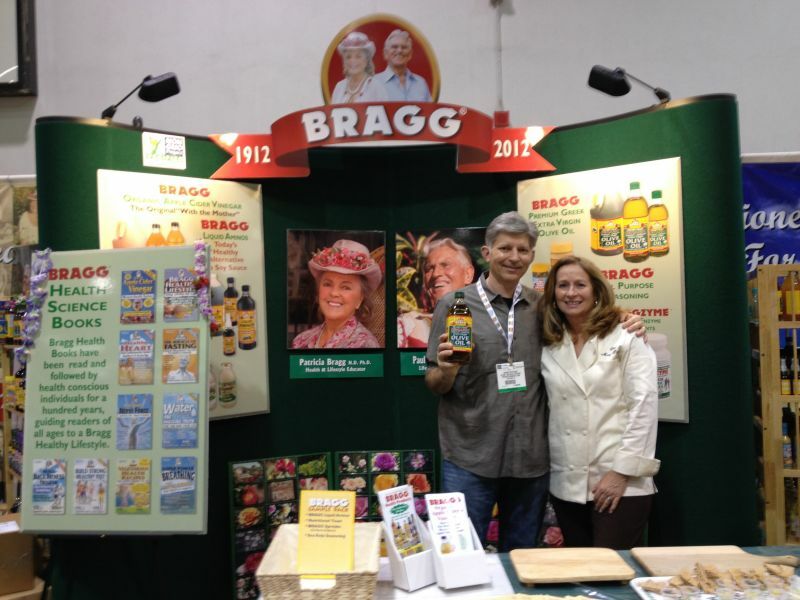 Bragg having such a large following of loyal customers were willing to try a sample and allow me to discuss this new product with them as they visited the booth. Using their extra-virgin olive oil in my daily cooking and as well as in my cooking classes, I could give advice about how to use it, where in recipes to use the oil, and facts about the benefits of extra-virgin organic olive oil and it’s nutritional benefits. Making new friends at the evening event. Our Greek farmer flew out just for the occasion. © 2012 – 2018, Mary Papoulias-Platis. All rights reserved. 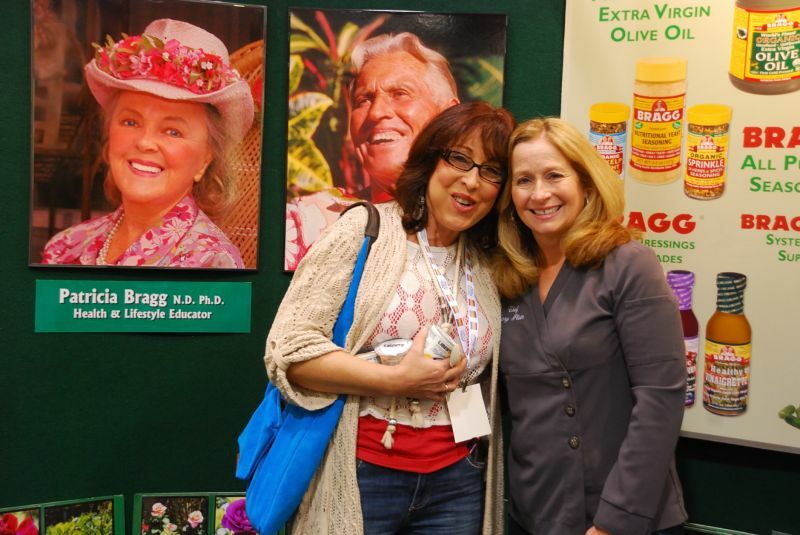 Looks like you had a lot of fun Mary, such a great product too! 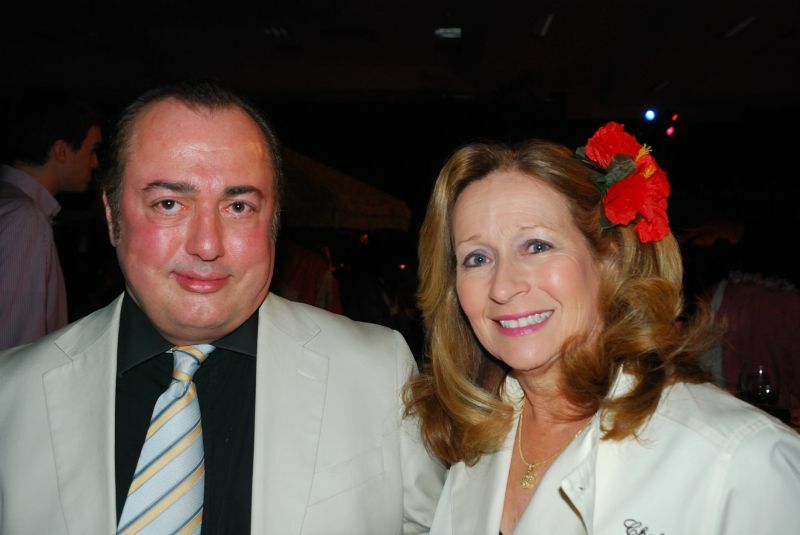 George Vutetakis looks like he could be your brother, seriously! Hi, I used to work for Vicki years ago in San Diego at their deli- The Tasty Gyros…..
You must have worked with my mother as well, who owned the shop! Thanks for dropping by! I have many of my mother’s recipes online for you to enjoy!